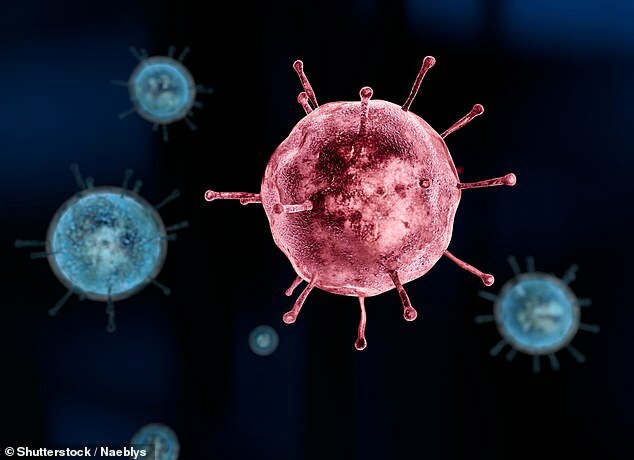 Scientists say they want to study the virus ‘to protect human health’ so they can learn more about it and be better prepared for a pandemic. 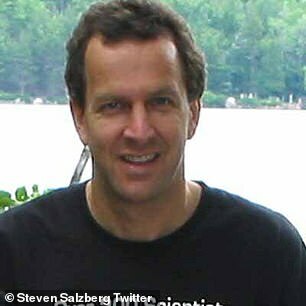 But Professor Steven Salzberg, a biomedical engineering expert at Johns Hopkins University in Maryland, said he cannot fathom why the US National Institutes of Health, which has permitted the ‘dangerous’ research, is allowing it to happen. ‘I’ve said it before, more than once,’ he wrote in a column for Forbes magazine. Professor Salzberg claimed two scientists have spent years trying to mutate the avian flu to spread between humans. But the National Institutes of Health (NIH), the US Government’s medical research agency, put the research on hold in 2014 because of safety concerns. Despite a letter signed by hundreds of scientists from around the world, the NIH has now lifted the ban and will allow Ron Fouchier and Yoshihiro Kawaoka to continue their experiment. Science magazine reported last month a government board had decided to allow the research to continue but would not publicly release details of its review. As a result, the government will consider new funding applications for research in this specific area of virology. In 2014, the NIH granted professors Fouchier and Kawaoka more than $600,000 (£458,000) towards their project spreading bird flu between mammals. Their research explored ways in which existing bird flu viruses could mutate so they would be able to pass between droplets of breath from ferrets. ‘One of the deadliest strains of avian flu circulating today is H5N1,’ Professor Salzberg wrote. ‘This strain has occasionally jumped from birds to humans, with a mortality rate approaching 50 per cent, far more deadly than any human flu. ‘Fortunately, the virus has never gained the ability to be transmitted directly between humans. ‘That is, it didn’t have this ability until two scientists, Ron Fouchier in the Netherlands and Yoshihiro Kawaoka at the University of Wisconsin, engineered it to gain this ability. Professor Salzberg’s fear of the researchers creating a virus which could kill millions of people stems from flu outbreak death tolls from history. In 1918, for example, the Spanish flu outbreak which spread to people from birds killed around three per cent of the world’s population – between 50 and 100million people. There are fears of another devastating virus outbreak, and more densely populated areas and faster travel round the world could help one spread out of control. Professor Salzberg rubbished the two scientists’ claims their research would help authorities predict or prevent an outbreak of mutated bird flu in the future. He said: ‘We don’t even stockpile vaccines for the normal seasonal flu, because it mutates too fast, so we have to produce new vaccines each year. Professor Salzberg called on the US Congress to intervene. Professor Kawaoka told Science: ‘We are glad the United States government weighed the risks and benefits … and developed new oversight mechanisms.